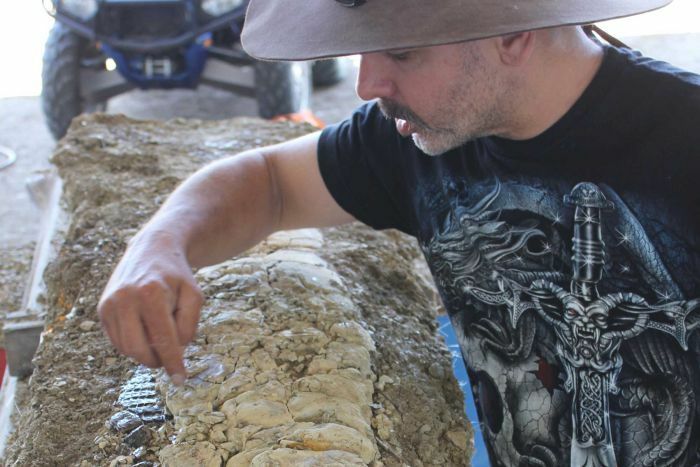 An ancient fossil, believed to be more than 100 million years old, has been uncovered on a cattle property in Queensland’s north west. 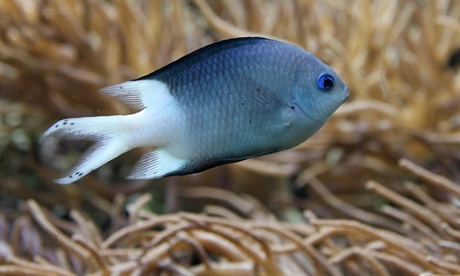 Spiny damselfish study suggests it would take at least several generations for fish to start coping with climate change. Spiny damselfish, Acanthochromis polyacanthus. Photo: Flickr/creative commons. Rising carbon dioxide levels in oceans adversely change the behaviour of fish through generations, raising the possibility that marine species may never fully adapt to their changed environment, research has found. The study, published in Nature Climate Change, found that elevated CO2 levels affected fish regardless of whether their parents had also experienced the same environment. Spiny damselfish were kept in water with different CO2 levels for several months. One level was consistent with the world taking rapid action to cut carbon emissions, while the other was a “business as usual” scenario, in which the current trend in rising emissions would equate to a 3C warming of the oceans by the end of the century. Three-quarters of the trash found off Australian beaches is plastic, a new study says, warning that the rubbish is entangling and being swallowed by wildlife. 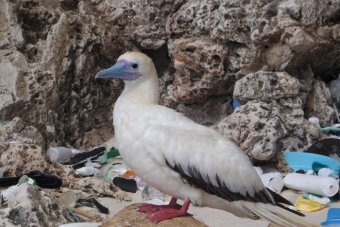 Litter impacts wildlife through entanglement and ingestion, with 43 per cent of seabirds from study discovered with plastic in their gut. Researchers surveyed the vast Australian coastline at intervals of about 100 kilometres, compiling the world's largest collection of marine debris data, the Commonwealth Scientific and Industrial Research Organisation (CSIRO) said. "We found about three-quarters of the rubbish along the coast is plastic," CSIRO scientist Denise Hardesty said. "Most is from Australian sources, not the high seas, with debris concentrated near cities." The report, part of a three-year marine debris research and education program developed by Earthwatch Australia with CSIRO and energy group Shell, found there were two main drivers of the pollution - littering and illegal dumping. Rubbish found included glass and plastic bottles, cans, bags, balloons, pieces of rubber, metal and fibreglass, as well as fishing gear and other items lost or discarded in or near the sea. The report said this marine debris not only posed a navigation hazard but could smother coral reefs, transport invasive species, harm tourism and kill and injure wildlife. It warned that litter impacted wildlife through entanglement and ingestion, but also indirectly via the chemicals it introduced into marine ecosystems. 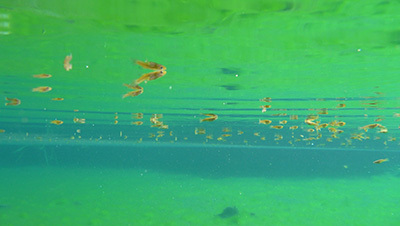 Rare fish found in outback bore drain. 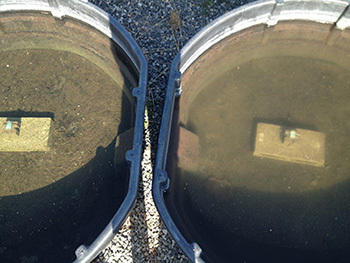 Dr Fish (Adam Kerezsy) stumbled on this population of bottom dwelling, artesian water fish while working for Desert Channels Queensland on an ecological survey of bore drains. Original story by Cell Press via EurekAlert! A species of turtle native to the tip of Queensland's Cape York, the Jardine River turtle, has been officially sighted for the first time in 25 years. It was thought the turtle may have been extinct, even though Indigenous locals had unofficially reported some sightings. But Apudthama rangers and scientists from Origin Energy have trapped 24 Jardine River turtles, which were last documented in 1989. Peta Standley from the Cape York Natural Resource Management Board said the turtles were found this week in two locations. "They're a range of sizes and a range of sexes as well, so now the next thing is trying to get some tracking devices on them and work out where they're actually going to, because they think they're nesting at the moment," she said. 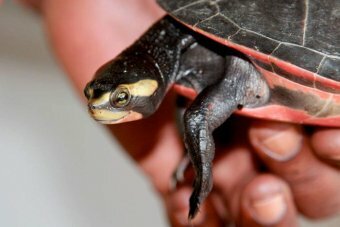 Indigenous head ranger Warren Strevens, who was involved in the rediscovery of the rare turtles in the region, said the reptiles were also known as painted turtles. "They're striking to look at," he said. "They're a slender turtle, on the side of their heads, especially around the cheek area they've got a bright yellow stripe. "Then as you go under the throat and down the neck, they've got a red stripe there, and all over their chest plate is a crimson red that's almost fluorescent. "There's no doubt they're a cute animal." He said the finds were especially significant for local Aboriginal people. "They're definitely sacred to one of the clan groups here," he said. 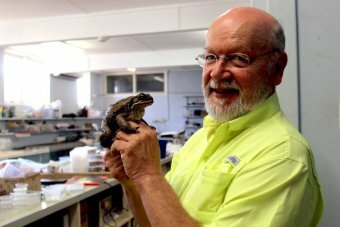 "They've got a storyline about that turtle as well, so there's a lot of significance in this find for the local region." NEW research shows the evolution of Australian rainbowfish was most probably caused by geological changes in the region, with the divergence into separate species probably occurring much earlier than previously thought. A joint research initiative between the Western Australian Museum, Brigham Young University, and National Evolutionary Synthesis Center recently finished the most comprehensive phylogenetic analysis of rainbowfishes ever undertaken, which included virtually all rainbowfish species. The research explored the biogeographic history of rainbowfishes in Australia and New Guinea, to determine how the various species are related to one another and how the geography of the region relates to their evolution. Dr Peter Unmack says the study shows geography is a key indicator as to whether any two species of rainbowfish are closely related. “We had collected samples extensively over the years and I began conducting DNA sequencing and gradually built a bigger and bigger data set,” he says. The research also suggests rainbowfishes may be older than experts previously thought and provides a new framework for the timing of divergence within the family. 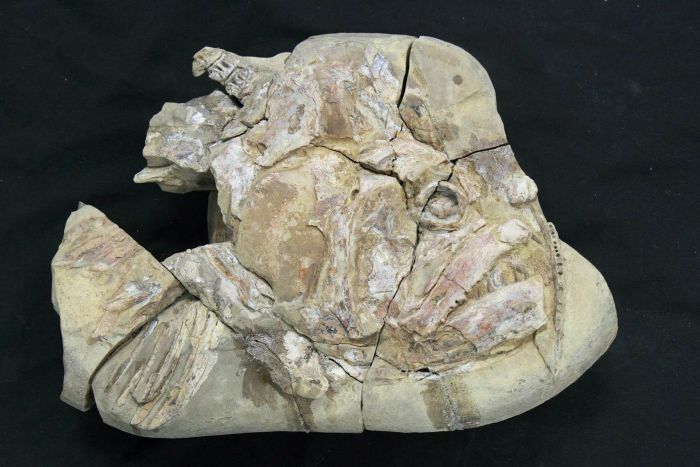 “The central Highlands of New Guinea have been going up very fast for the past five million years, and researchers previously thought that when the mountain range began to rise, the fish in the north were isolated from the fish in the south,” Dr Unmack says. “We have shown that rainbow fish actually diverged much earlier than that, perhaps as much as 17-20 million years before the north-south separation. The geology suggests things should be young, but the genetics says things may be older than predicted. “There was a lot of introgression among the groups. “Essentially, some of the species within the group have mixed with other species at particular times in the past and then separated, and so have a lingering genetic history that includes the other species they’ve mixed with. 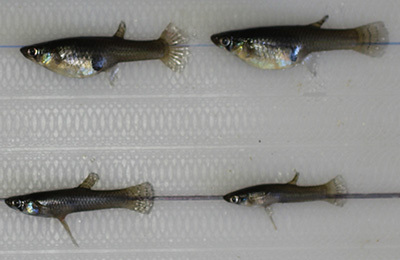 Researchers also documented 15-20 undescribed species of rainbowfish, with as many as 10 of these occurring in Australia.